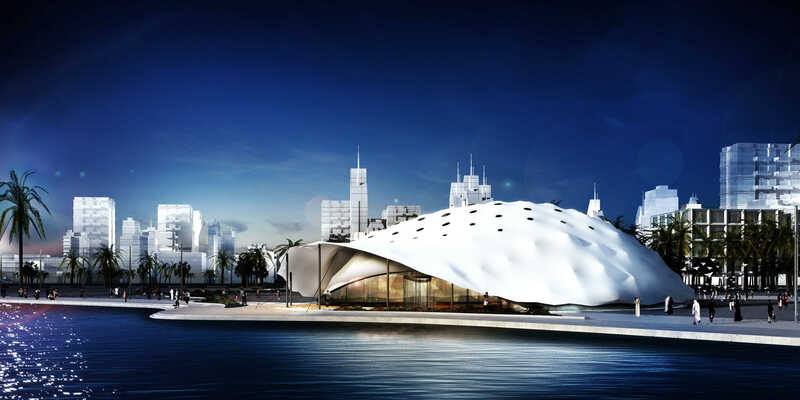 Which materials do people use to build structures that protect them from the elements, such as cold, the heat of the sun, from rain, wind and sandstorms? 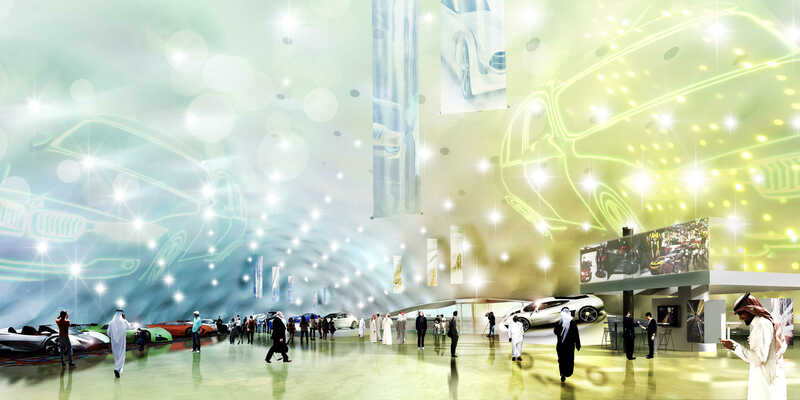 The first that comes to mind are steel and wood, concrete and stone, glass and bricks. 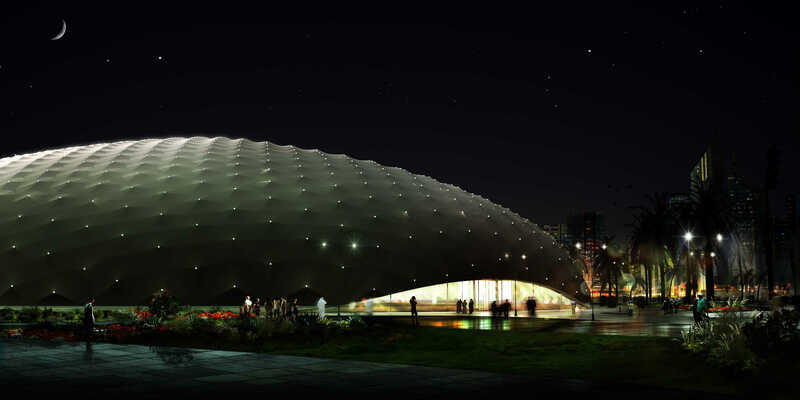 But in certain conditions, such as tropical climates or hot desert surrounding, these materials have substantial disadvantages, and even more so when the building will be in use only temporarily. 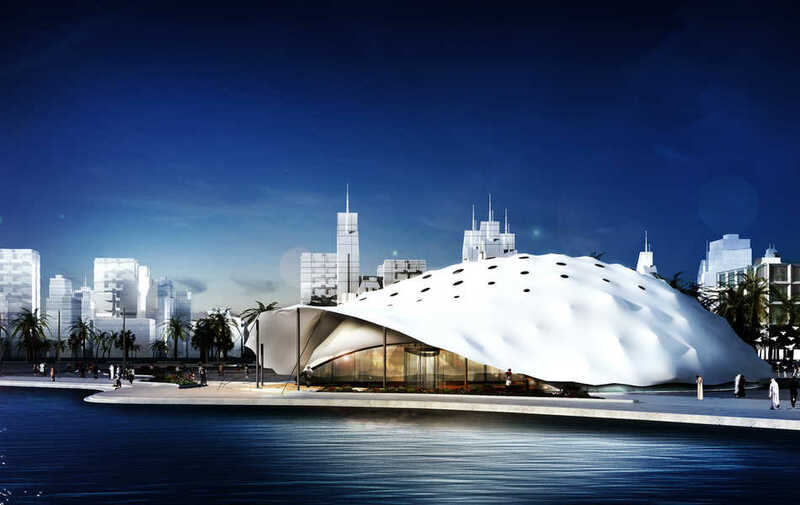 Building time, the cost of the materials, and the demands for climate control present themselves as problems. 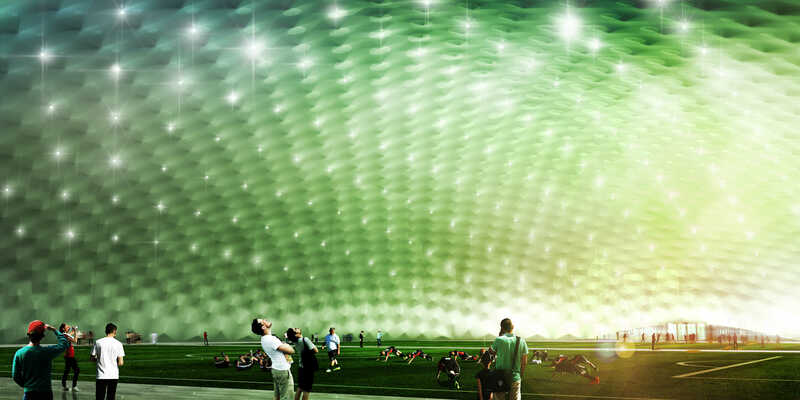 The solution is to be found in modern technology finding its inspiration in the archaic invention of the nomad tent. 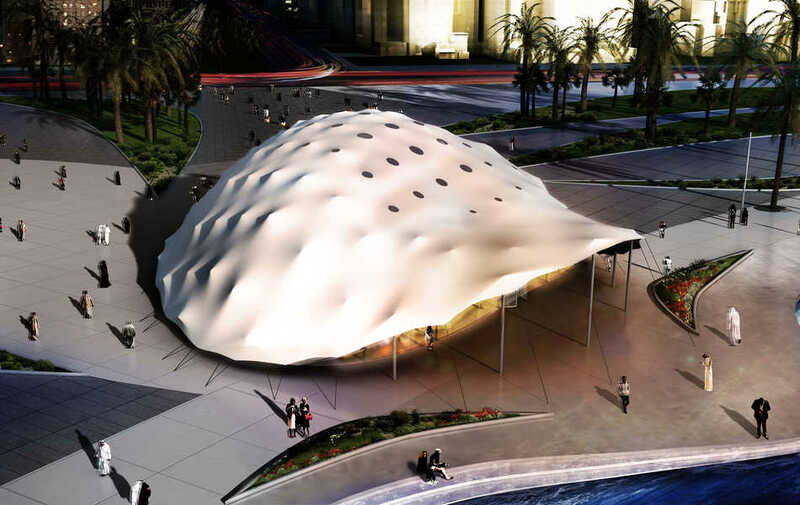 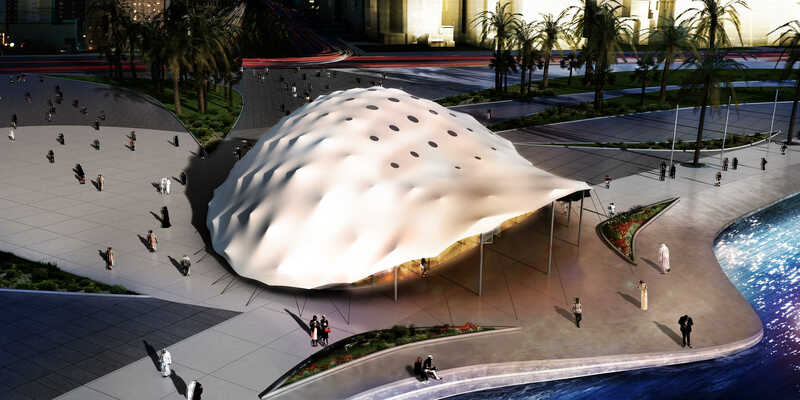 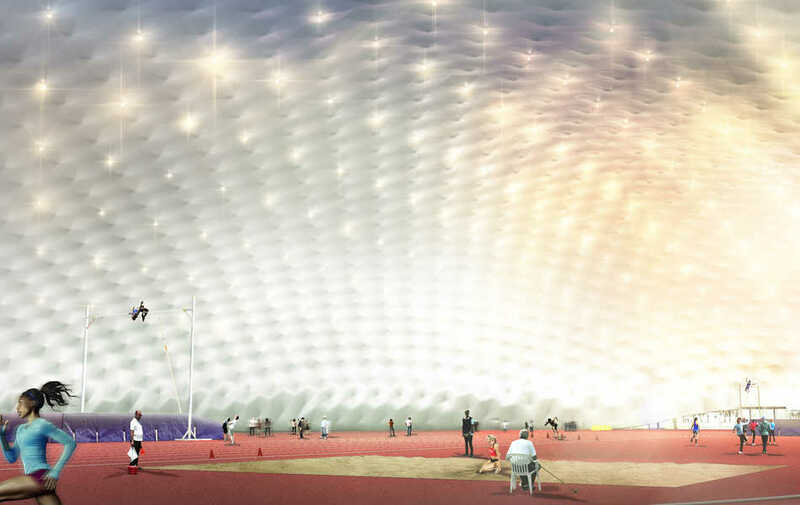 That is The Shaded Dome, a lightweight structure, adaptable in shape and size, consisting in a blow hall covered by a network of steel cables, on which steel tubes erect themselves and support a second layer, a tent out of modern hi tech textile. 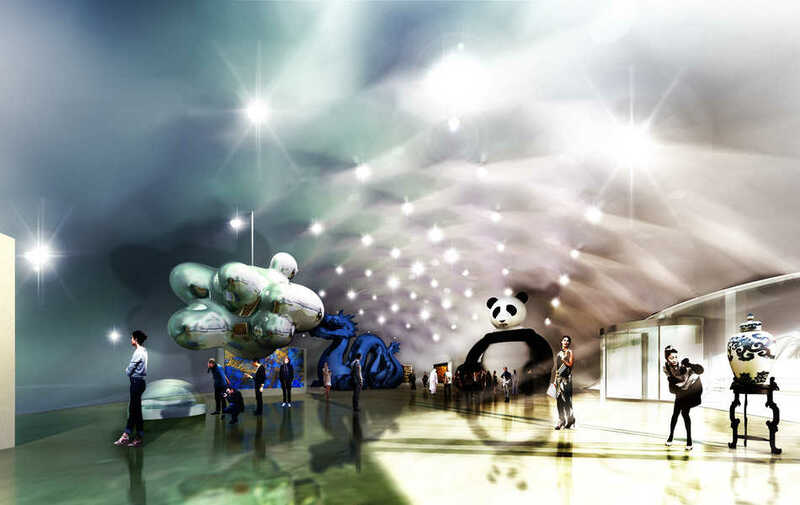 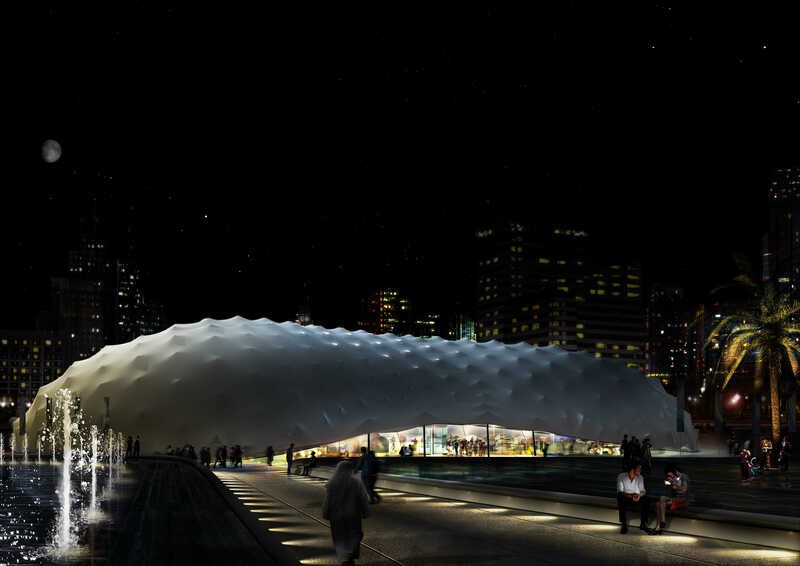 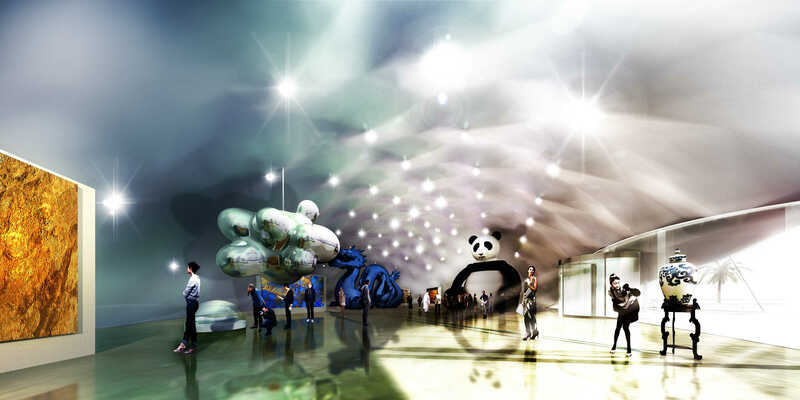 The result is a unique structure that looks as archetypical as it does futuristic. 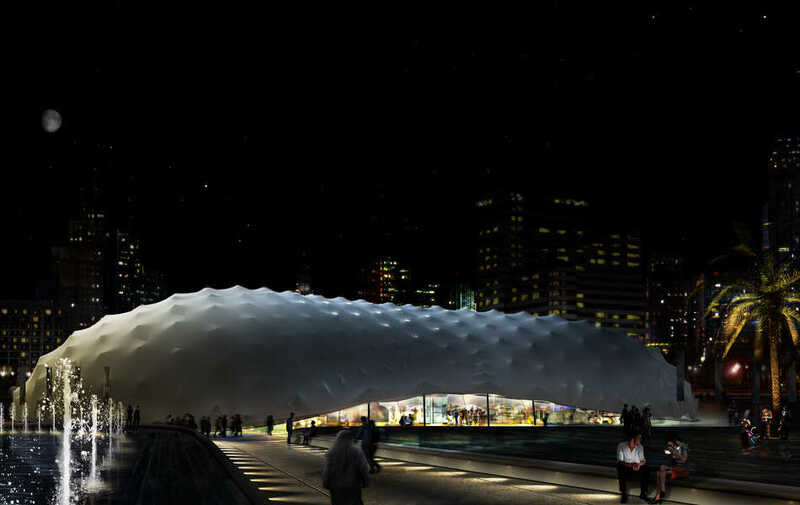 Transported in a few containers and built in a few days, a structure is erected with a free span of 150 meters. 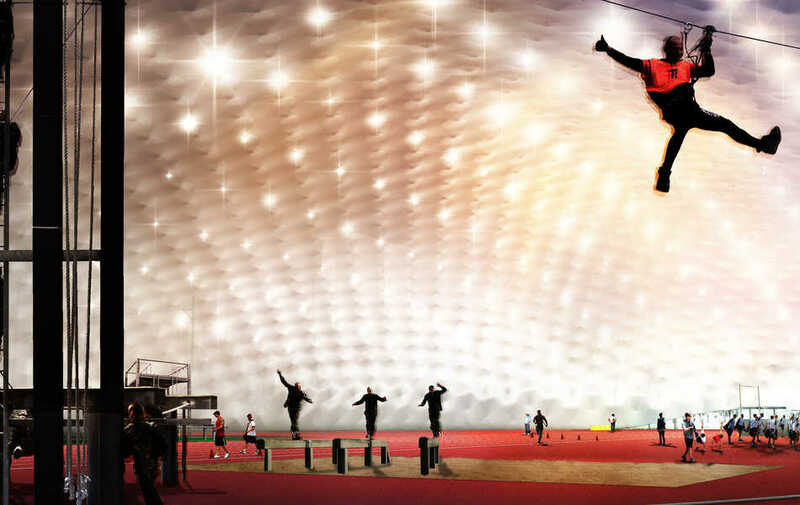 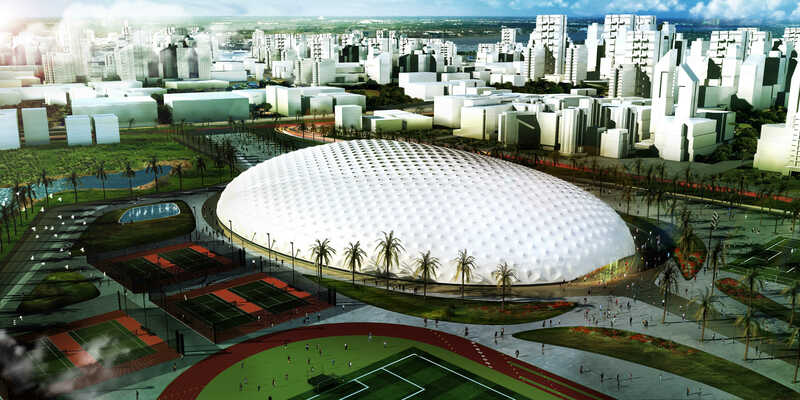 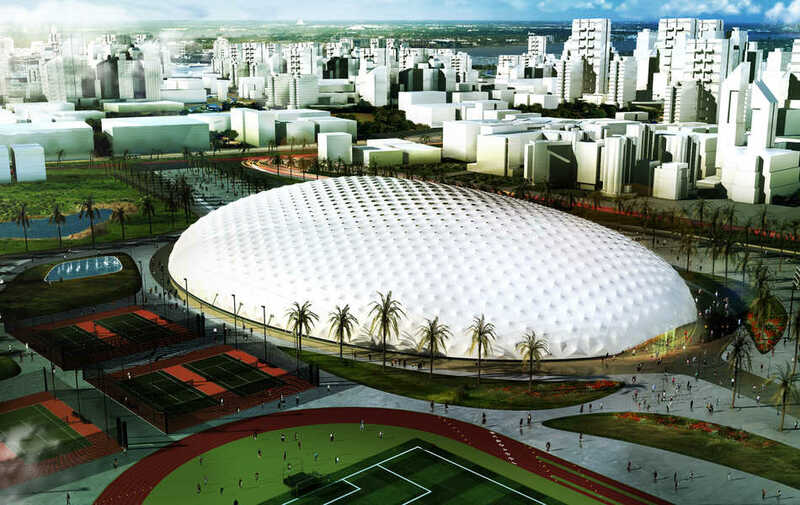 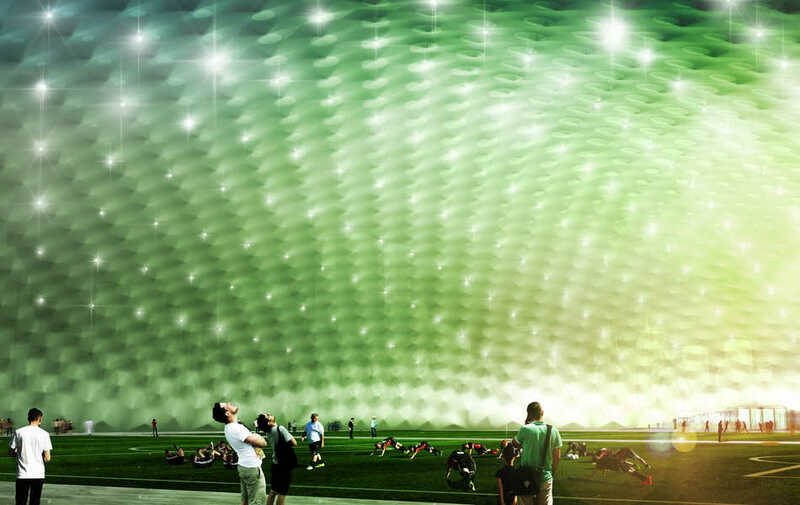 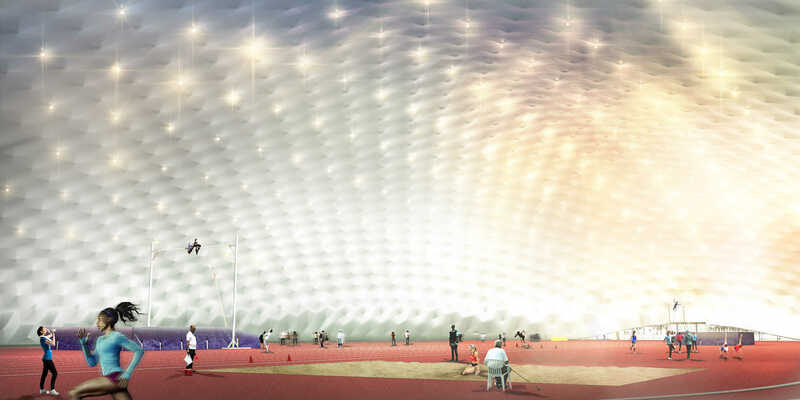 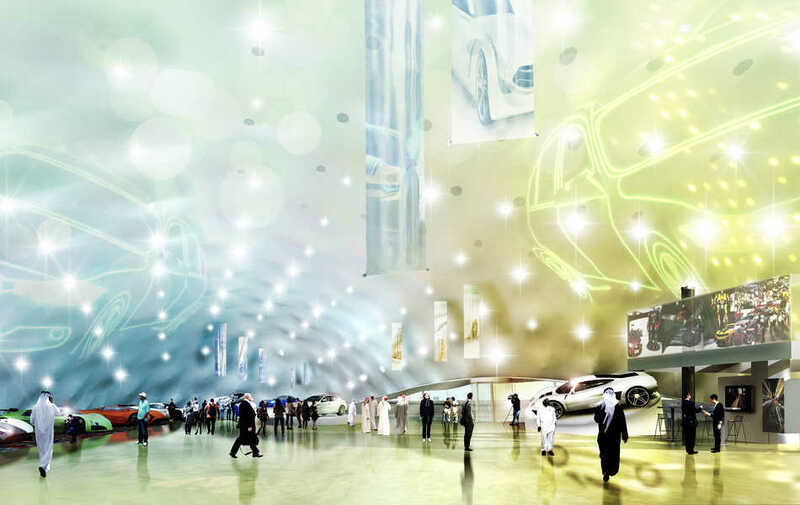 The airflow between blow hall and outer layer and the use of isolating fabrics allow the The Shaded Dome, when exposed to extremely hot conditions to cool itself to a pleasant 25 degrees celsius.The use of flexible and light weight materials and the substantial energy reduction make sure The Shaded Dome is a very cost efficient solution to house sports events, training facilities, exhibitions, fairs and cultural manifestations. 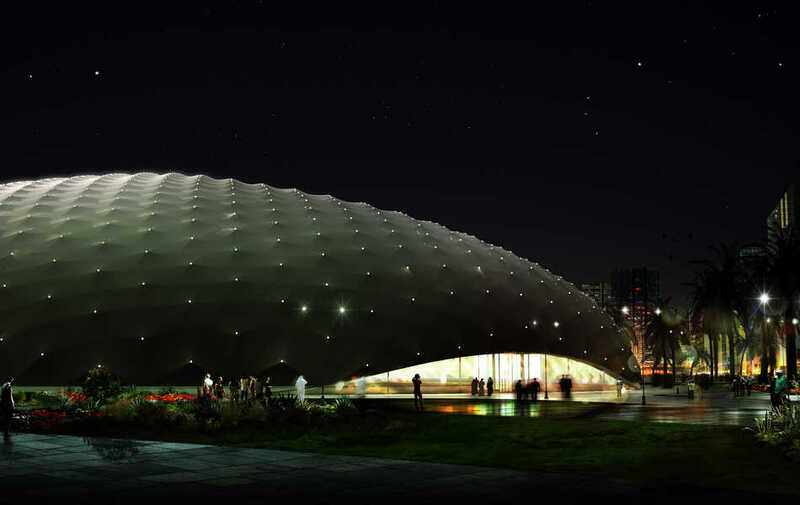 It is a building that can have many desired shapes -round, oval, drop shaped etc- and vary in size from a capacity of 1000 to 10.000 m2. 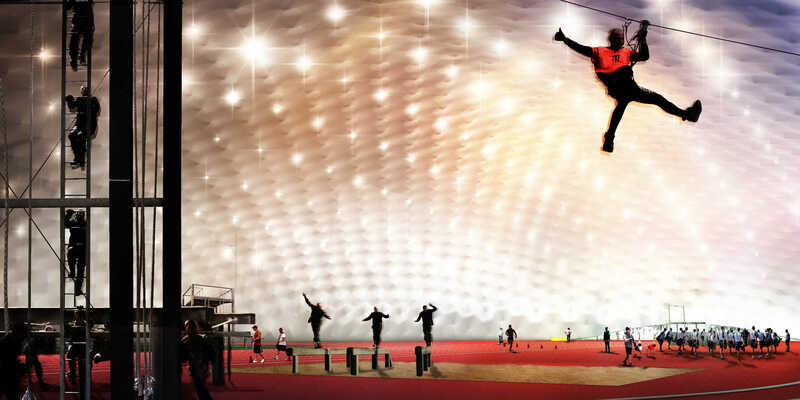 Being re-usable and mobile makes this a very climate friendly concept.